Place coconut oil in skillet and heat over med-high heat. Once oil is melted add onions and roast. Next add carrots and roast. Place onions and carrots in the slow cooker with beef broth and garlic. Next add chuck roast to skillet and browned on all sides. 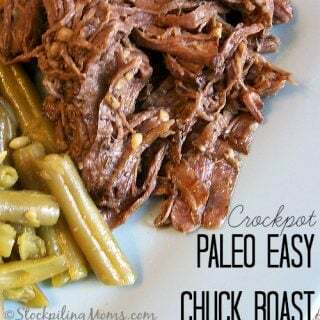 Once browned place in crockpot and put lid on.